Don’t Confuse Urgent With Important! I wrote a post a few weeks back entitled “When Did ‘Busy’ Become The Correct Answer To ‘How Are Things? '” The heart of the post was about Stephen Covey’s four quadrants of time management in his book The 7 Habits of Highly Effective People. It was about how much of our time we spend in Q1 (Important and Urgent) which keeps us from spending time in Q2 (Important but not Urgent) where we get to spend time working on our business. I received a comment on that post from my friend Elizabeth who writes at Almost Spring. Her comment (below) really got me thinking about the nature of our most hectic work. 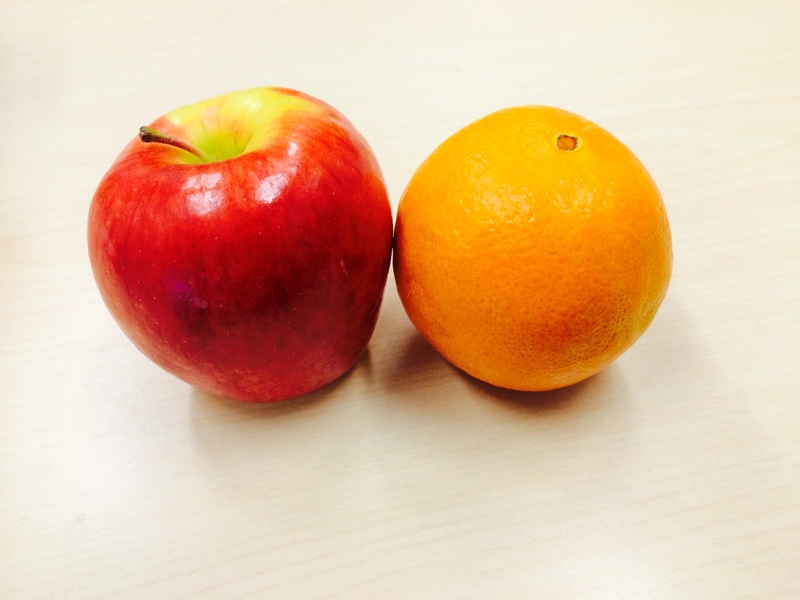 That seems to make Q1 and Q3 feel like apples and oranges – they are of the same family but really quite different. If that is true, it means we have a different issue than trying to stop the cycle of Q1 / “working IN the business” activities in order to be able to find room for Q2 / “working ON the business”. If indeed we misinterpret or incorrectly label Q3 activities at Q1 we are missing a huge opportunity to truly make a difference. If we assume this is true, what might be behind that? Measurement system rewards firefighting. In a previous work experience, I worked in a culture where putting out fires was highly valued and rewarded with a lot of recognition. People in that company colloquially referred to this work as “heroic acts of recovery”. Other cultures I know refer to such situations as “diving catches”. Certainly that would tend to make Q3 tasks look like Q1. Not all measurement systems are external though … how do we evaluate and guide ourselves? A client I worked with on a goal to be more effective at prioritization and time management is also a self-confessed lover of firefighting. There is a discontinuity between goal and measurement at work here. Measurement system rewards activity. In such a reward system, crossing things off the to-do list is likely to be a high priority, and if our success is dependent on it, anything on the to-do list will feel like it is Q1. Once again it may be important to look inside at how we grade ourselves. Another client was working on developing an independent business in a space where it takes time to build a network of relationships. Because the client had always taken pride in adding value and getting things done, they were becoming discouraged that success was coming too slowly. The temptation was strong to focus on increasing the repetitions to make revenue start to flow. We aren’t delegating. A lot of urgent work actually is important. It’s just not important that you do it. Organizations have people at various levels of development, and they are in roles of varying complexity to match their skills. As an example, processing customer orders is actually quite important to a company and in most cases it is urgent that we get orders moving to satisfy customers. To the inside sales representative, this might in fact be Q1 work. But to the account manager who works directly with customers, it is Q3. Are we recognizing the ability of others to contribute in the roles they have within the organization. We don’t take Q2 time to sort Q3 from Q1. Back to my friend Elizabeth. She also commented that it is important to “give yourself permission to go into Covey’s Q2 planning quadrant and sort out your Q1 tasks from your Q3 tasks. It is amazing, after you analyze, how few “really important” tasks there are left.” What a great little trick that is! Start with a little Q2 time that allows you to determine that there is less Q1 activity than we originally thought, so we delegate the Q3 work to those that it is appropriate for and end up with a bunch more Q2 time for working ON the business. What resonates for you here? How else might we sort the Q3 from the Q1 so that we can work on what is truly important? Outside of the office environment, how might we apply this at home to add greater enjoyment and vitality to our lives? Well written but not sure I was able to wrap my head around the concepts. Thanks for the feedback. I too was concerned with all of the “Q”‘s I used!! Thanks for the mention. This post really hit home and your expanded ideas provided new reasons to me for why and when I had become stressed in my business and personal situations. Especially thinking ‘fire-fighting’ and crossing off items from that never-ending ‘to-do’ list as being important rather than simply urgent. In fact sometimes when something really important and unexpected comes along there is a tendency to think ‘I cannot deal with that because I already have 100 urgent tasks I need to finish by the end of the week.’ That is when we really need to go over to Q 2 and think. Thank you. Food for thought! Will change the way I look at the quadrants. You are welcome! Elizabeth did the same for me!